Plan to arrive, dressed in cap and gown to the Lindner Fitness Center at 8:30 a.m. for mandatory rehearsal. Doors will open for your guests at 9:00 a.m.
Plan to arrive, dressed in cap and gown to the Lindner Fitness Center at 12:30 p.m. for mandatory rehearsal. Doors will open for your guests at 1:00 p.m.
All students are required to order their cap and gown online by Monday, February 25th, 2019, no exceptions. Students who do not order by this date will assess a $30 late cap and gown order fee. Please click here to order your cap and gown. Master students, please remember to order your hood along with your cap and gown. All caps and gowns will be available for pick-up beginning approximately Monday, April 29th, 2019. Caps and gowns are yours to keep as a memento. ALL GRADUATING STUDENTS: Please check your student account online and pay any balances. Log onto MYJudson and select Student accounts to check your account and make payments. If you are unable to pay your full balance, you must contact Student Accounts (see contacts below) to make payment arrangements and pay your first installment payment in order to pick up your cap and gown. You will be able to receive your transcripts and diploma once you have a $0 balance. If you have a $0 balance and there are no holds on your account, you are ready to pick up your graduation attire! Financial Aid Exit Counseling: If you have taken out student loans, note that you must complete Financial Aid Exit Counseling in order to receive your transcripts and diploma. Doctor of Education in Literacy students can pick up their cap, gown, and hood in Office 110 of Creekside South. Questions regarding your student account should be directed to Linda Newman or Ron Graf (see contact information below). Master of Architecture, Master of Leadership in Ministry and Traditional students can pick up their cap and gown in the Student Accounts office during business hours (University Center, second floor). Pick up at the Elgin Main Campus, University Center, second floor in the Student accounts office: Walk-Ins: Monday, April 29th thought Friday, May 3rd, 9:00 am through 4:00 pm. Questions regarding your student accounts should be directed to Linda Newman or Ron Graf (see contact information below). Pick up at the Elgin Main Campus, University Center, second floor in the Student Accounts office - Walk Ins: Monday, April 29th though Thursday, May 2nd, 10:00 am through 5:30 pm- Friday, May 3rd by appointment. Contact Jennifer Dittmann at Jennifer.Dittmann@judsonu.edu to make arrangements for Friday pickup. Pick up at the Rockford YMCA - Walk-Ins: Monday, April 29th through Thursday, May 2nd, 10:00 am through 7:00 pm. General photos from commencement and individual photos of students walking and getting their diplomas will be available for purchase online through Kevin Sherman Photography after the event. Check back here for an updated message and purchasing link once the photos have been posted. Diplomas will not be given at Commencement. If there are no holds from student accounts, library or financial aid, diplomas will be ready for pick up starting Wednesday, June 5th, 2019 in the Registrar's office (LTOW 2nd floor). Rockford Adult Undergrad and Graduate Students can be picked up at the Rockford location. Diplomas not picked up by Friday, July 5th, 2019 will begin to be mailed out. All holds must be cleared before diplomas can be released. Graduation fees must be paid regardless of whether you participate in the commencement ceremony. If you choose not to participate in the ceremony you will need to notify Jill Hargis at jhargis@judsonu.edu by Tuesday, March 12th, 2019. To request a copy of your transcript, please login to www.judsonu.edu and click on "MYJU" The Transcript request link is in that menu. You may also order a transcript for pick up by coming to the Registrar’s Office in the Lindner Tower building. The mission of the Judson University Alumni Association is to unite and serve alumni from Judson University and encourage alumni loyalty, support and involvement in the University. 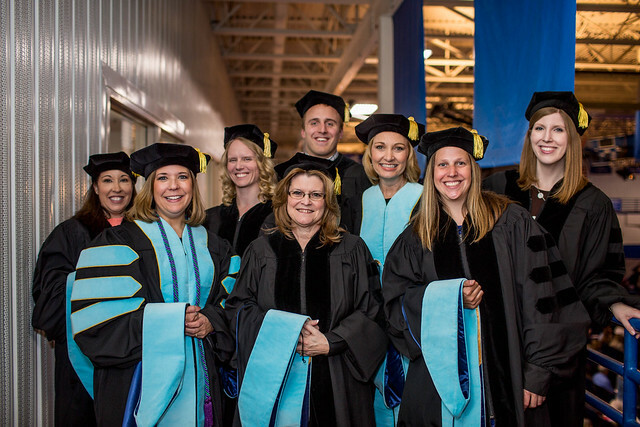 All Judson graduates automatically become life time members of the Judson University Alumni Association (JUAA). No membership dues are charged to be part of the Alumni Association. As a member, you will receive Judson Today, a publication for alumni and friends of Judson University, Alumni Connections, a monthly e-newsletter keeping you informed of everything happening for alumni, as well as invitations to various opportunities throughout the year. Judson Alumni are offered added benefits such as a FREE membership to Right Now Media (an online library of over 10,000 video Bible studies, leadership videos, and kids’ shows), Judson Connect community platform, discounted insurance through our Alumni Insurance Program and more. Learn about alumni discounts, resources and events at www.judsonu.edu/alumni. Regular visits to the Judson University website will also keep you informed of upcoming events and university news. Notify the Alumni Office with new events in your life-new address, new email address, job change, wedding, etc., that you would like to share or have printed in Judson Today. Print the last documentation page to bring with you when you pick up your cap and gown.